The start of talks is an opportunity that may not come again. Afghan President Ashraf Ghani took office knowing that the old policy of simply criticizing Pakistan doesn’t remove the Pakistan factor from regional realities. Consequently, he boldly departed from the official policy line of his predecessor Hamid Karzai in a bid to mend fences with Pakistan. These efforts have been placed at risk by last month’s attack on Afghanistan’s parliament. The time has come to sort through the complex web of issues plaguing Afghanistan-Pakistan relations. It’s time for both states to look beyond the legacy of the mujahedeen, Taliban, and War on Terror. The withdrawal of NATO forces from Afghanistan and China’s push towards Central Asian markets now demand that both Afghanistan and Pakistan adjust to new realities and foreign policy choices. The changing dynamics of regional and global politics requires both sides to put words into action. Pakistan’s foreign policy has resulted in overwhelming human loss, with violence now part of daily life. The schoolchildren in Peshawar were perhaps just the most shocking tragedy to emerge from Pakistan’s policy of strategic depth, with that attack driving the Pakistani public to call for renewed action against the militants. To ensure the success of the Zarb-e-Azb operation, one of the costliest in the nation’s history, Pakistan must establish peace with Afghanistan. The stakes are high: Pakistan’s Finance Minister Ishaq Dar said the cost of the ongoing operation in North Waziristan may exceed $1.3 billion. The human cost of the war on both sides of the Durand Line includes untold stories of misery and helplessness. In launching Zarb-e-Azb, the Pakistan Army has at least shown the intention to go after elements that are sabotaging peace in the area. But if Tehrik-e-Taliban Pakistan – the major target of the operation – has demonstrated one thing, it is durability and a capacity for absorbing casualties. Pakistan’s investment in Zarb-e-Azb will produce very little if the shared 1,500-mile Durand Line is not secured, and that in turn requires that Pakistan take Afghanistan into its confidence. Ghani’s elevation to the presidency, without the baggage of prior involvement in Afghanistan’s power games, leaves him well placed to push Pakistan to change its policy towards Afghanistan. Since taking office, Ghani has been desperately trying to walk the line between pushing for peace and sustaining public support for his government. In the process, he has faced severe pressure from his critics. In contrast to his predecessor’s blame games, Ghani has sought to pursue a very clear and visionary policy towards Pakistan and has tried to remove the obstacles to establishing an environment of trust and cooperation. The leaking of a draft of the memorandum of understanding between the Afghan and Pakistani securities agencies on intelligence sharing, which was reached without broad consultation, redoubled the pressure on Ghani. Yet his sole purpose is to bridge the gaps between Pakistan and Afghanistan. In suspending arms deals with India, Afghanistan’s most generous donor in the region, Ghani took a huge step in trying to allay Pakistan’s fears that India was making inroads into Afghanistan. Yet this move, along with sending Army cadets to Pakistan, handing over the perpetrators of the Peshawar school attack, and conducting joint operations in the adjacent areas of the troubled Durand Line saw Ghani come in for renewed criticism, particularly in the wake of the attack on the Afghan parliament. Pakistan now must reciprocate his initiatives and understand the limitations Ghani faces. The Afghan president could well run out of policy options towards Pakistan, particularly given the opposition he faces at home. The key question is whether the new regional geo-realities can persuade Pakistan’s powerful military to change this and other policies. These new realities include, for instance, Chinese plans to build an economic corridor through Pakistan. In all, Beijing plans to invest more than $100 billion in the Afghan and Pakistani segments of its Silk Route project. It also has its eye on Afghan mineral deposits, and has proposed a rail link between Kabul and Xinjiang. China’s cultural and diplomatic presence in the AfPak region is growing. Pakistan itself is an energy deficit country, and with its growing population, it must meet rising energy demand. That will require access to the Central Asian states, which are also a potential market for Pakistani products. But the road to Central Asia leads through Afghanistan. For their part, Chinese leaders are also aware of the risks of Afghanistan failing or a civil war breaking out on China’s borders, which add to Beijing’s concerns about its own western Xinjiang province, where it fears separatist ambitions from its Muslim minority, the Uighurs. For China, the negotiations are a deterrence against the threat of Uighur militants from Afghanistan. Ghani has brought China into the peace process to encourage Pakistan to consider all forms of the Taliban as a threat to the region. And given the stakes, it is not surprising that China is taking an interest in the peace process. 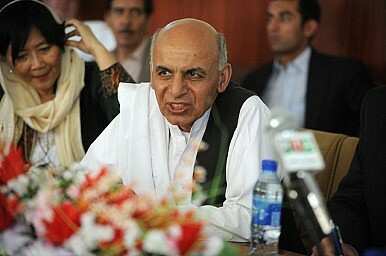 It clearly wants the Taliban at the negotiating table and as part of a peaceful Afghanistan. Will China’s economic clout give it sway? The answer ultimately lies with the Pakistani military establishment, which must decide whether an unstable Afghanistan that gives the Taliban the ability to regroup, combined with a growing ISIS presence in the region, is in its interests. Pakistan must put its obsession with India aside and consider its western border. Ghani has provided an opportunity for peace that may not come again. If Pakistan blows its chance, the damage to relations with Afghanistan will be profound. Already, elements within the Afghan and Pakistani establishments are quietly working to sabotage the peace process, which they see as a threat to their interests. The war economy has benefited elements on both sides. The Afghan president has put historical enmities aside and created an opportunity to end an interminable conflict and bury some Cold War bogeys in the process. Pakistan must seize the moment. Aziz Amin Ahmadzai is a political and social commentator based in Kabul. He tweets at @azizamin786. Mona Naseer, from FATA, is a political and social commentator on the AfPak region and tweets at @Mo2005.